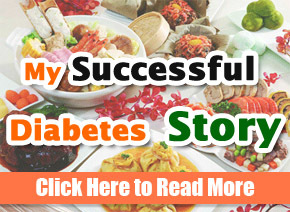 Diabetes management requires a significant adjustment not only on lifestyle but also in a diet. This includes forfeiting even some of your favorite dishes. The good news is that diabetics can still consume nuts without worrying too much about their health. Nuts consumption can help even in reducing the risk of ailments that are often associated with diabetes. Often time’s diabetics wonder whether it’s safe to consume nuts or not. Most of them end up questioning different scenarios as to whether to consume or not to consume nuts. The answer to their questions is that they should not worry about consumption of nuts. Diabetics can comfortably consume nuts because of the great nutritional value they harbor. Nuts are generally defined as seeds or fruits in a hard inedible shell. They are also the seeds of various trees and commonly known as tree nuts. The more general use of nuts has been included in this article i.e. those in hard shells (e.g. chestnut) and others that are technically legumes (e.g. peanut) and seeds (e.g. pecans). Some of the most common nuts are as listed below. According to a report published in “Choose My Plate” by the USDA program; nuts were included to a diet as proteins. However, nuts are contains a lot of other nutrients such as anti-oxidants, unsaturated fats, vitamins and most importantly fiber. It’s important to note that despite the numerous healthy nutrients nuts contain, they have high calories. Nuts contain very high nutritional value and don’t have unhealthy fats that can block arteries. The calories are just a minor setback in nuts consumption without major side effects to your health. There are various different methods you can use to plan your diet. This will be determined by your prevailing medical condition to control the effects certain foods might have on your blood sugars and overall health. While some diabetics monitor the glycemic index (GI) of food they eat, the American Diabetes Association prefers counting the amount of carbs in your diet, in grams. When trying to lose weight, it is also possible that you’re on a calorie-restricted diet plan. Nuts have effects in your meals in spite of the methods you use as stated below. This method is used to measures the speed at which food raises blood sugar levels. Low GI numbers indicate your health is not at risk. More specifically, GI below fifty-five is regarded to be low. Most nuts’ GI is very low with cashew nuts having a GI of thirteen. On the other hand, nuts high in carbs has a GI of twenty-two. Nuts are high in calories and therefore present a very challenging scenario for those who want to lose some weight. For instance, small amount of almonds has over 150 calories while walnuts contain way above 170 calories. However, a combination their healthy nutrients specifically fiber, vitamins, unsaturated fats among others, make them safe to consume. Most nuts have a slight or no effect on your carb count. Nuts such as almonds and peanuts contain six grams of carbohydrates while cashew nuts contain nine grams. In medical studies, certain basic principles have been set. For instance there is a principle that basically requires not to do harm. Nuts are not guided by such minimal requirement or expectations because the various studies conducted in recent years show that regular consumption of nuts can significantly minimize the risk of many chronic conditions. In 2014, for example, The American Journal of Clinic Nutrition published a meta-study showing that regular consumption of nuts reduced the risks of heart disease. In the same journal it was also published that consuming nuts will help reduce the risk of contacting metabolic syndrome. 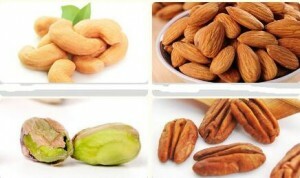 Nuts also prevent other chronic diseases associated with the heart by changing the count of healthy fats in the body. Should you include Nuts in Your Diet Plan? Studies conducted in relation to the health benefits of nuts show that consumption of just a few grams of nuts per week is adequate enough for your health. Frequent salads consumers can include a few pecan halves in their meals instead of croutons. The taste of pecan halves and almond combined replaces that of poultry or fish. Nut flours are used to in low-carb baking for diabetics who need a little treat from time to time. Slivered or sliced almonds can be used to garnish cooked vegetables for example beans. Alternatively, they can be consumed together with stir-fries. They do well with latter method. The easiest way is to eat them as a wholesome snack, when you feel the urge to take something crunchy, without much risks to your health. In addition to the already stated health benefits, nuts in general contain high flavonoids and plant sterols. Flavonoids and plant sterols contain anti-oxidants and heart health benefits respectively. Research studies are currently underway to find whether flavonoids contain anti-cancer agents. If the findings are positive, this will come in handy for cancer prevention and possible treatment in future. 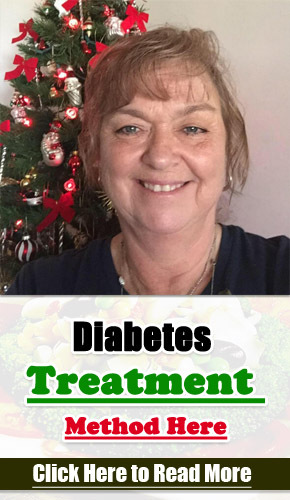 To add to the reasons stated above, a meta-analysis conducted recently showed that eating tree nuts improves the control of blood sugar in diabetics. Some limitations of this study were the inclusion of small and low- quality data. However, this should not raise eyebrows because that’s how such a study is supposed to portray This type of study is designed to be a way to statistically by-pass less than perfect data and to extract the vital information. Some of research studies conducted have proved that including walnuts to your meals in particular can significantly reduce the chances of women contracting cancer. People diagnosed with pre-diabetes can consume pistachios which reduces the chances of contracting the actual diabetes. However, there is no need to worry as to which nut will be beneficial to your health. 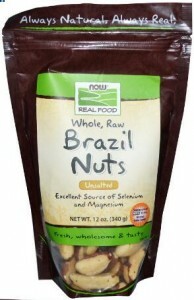 Combining them or alternatively include your favorite nuts in your meals. How much nuts should one consume? Most research studies conducted in the recent past have emphasized the benefits of consuming a few grams of nuts everyday together with your meals. The studies have showed that there are numerous options of consuming nuts. A diabetic can mix them or try any of the tree nuts available. It is important to remember that a handful of nuts is just an ounce of nuts and is less than two hundred calories. Most diabetics have no challenges in including nuts in their meals. According to the current study’s findings, diabetics gain significant gain health benefits as compared to calories associated with nuts.